Beuchat is one of the biggest and oldest French Scuba Diving, snorkeling and Spearfishing equipment manufacturer. 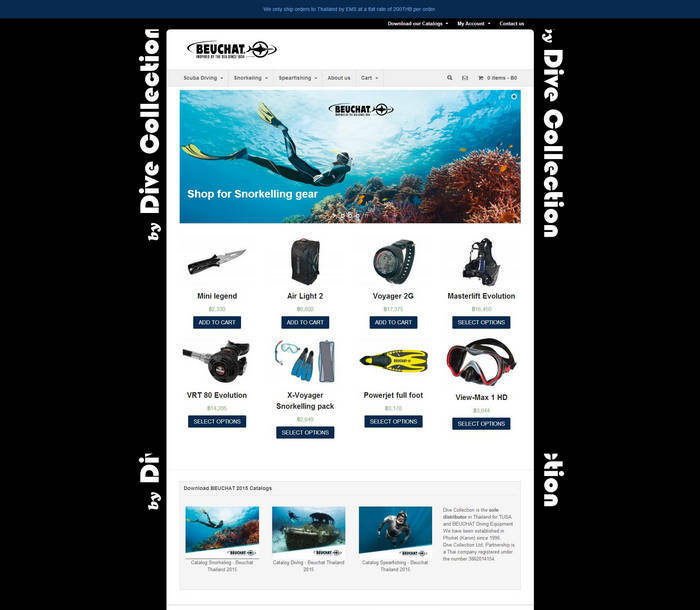 We built the website of the Sole Thai distributor located in Karon, Phuket – Dive Collection. Web Design in accordance to Dive Collection’s corporate image.